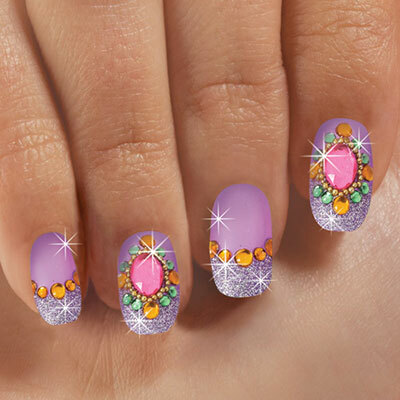 Instant glamour is close at hand with our bling-encrusted, Purple Passion Nails! Set of 24 in assorted sizes for a perfect fit. Self-adhesive nails mean no messy glue, plus quick, easy application and removal.